I swear I am doing things other than baking right now. Ahem…I’m also wrapping presents. 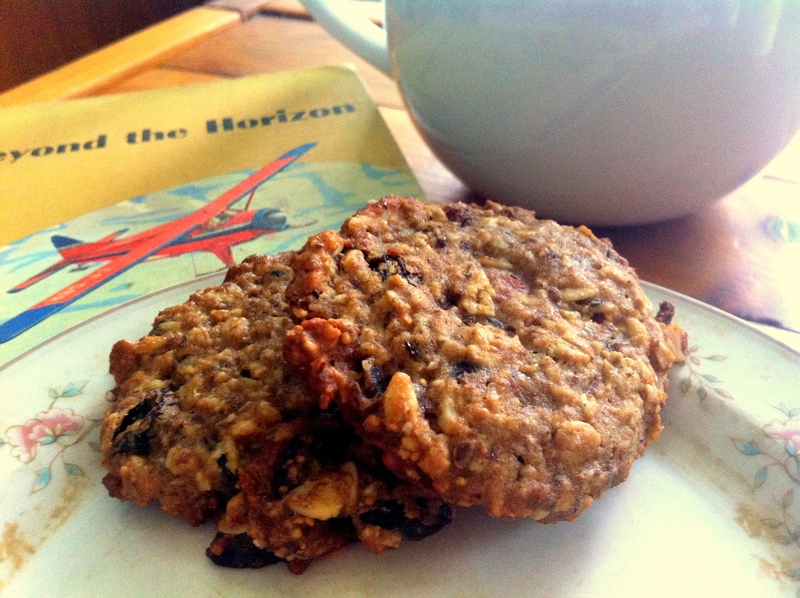 This cookie recipe is a little less wholesome than my last but still delicious and made of whole food ingredients. Initially I intended them to be vegan but I found the batter just wasn’t holding together like I liked so I added an egg. I’m sure more experienced vegan bakers than I could have worked some magic with a little extra flax but I took the easy way out. 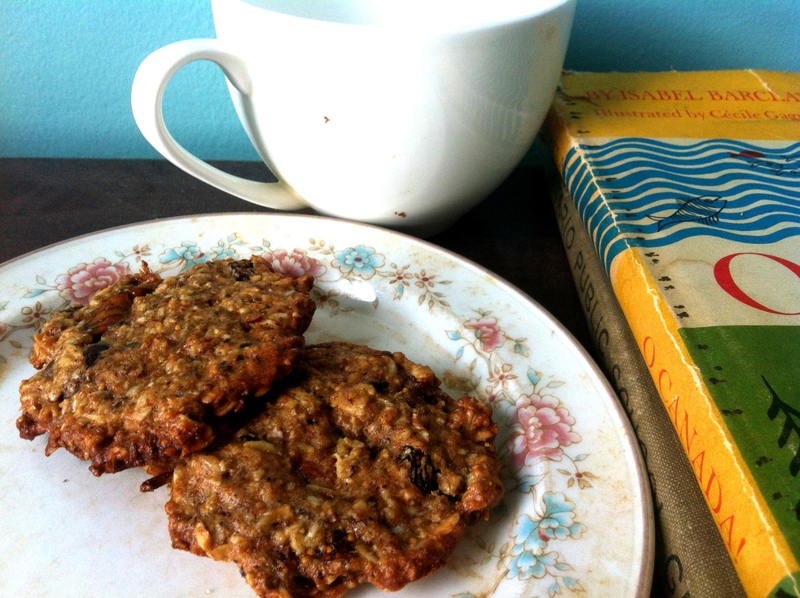 Ultimately though I was very satisfied with this hearty and decadent oatmeal cookie. Perfect for serving alongside a pot of tea or maybe even leaving out with a tall glass of almond milk for the big man himself on Christmas Eve…Enjoy! **Before using soak the dried fruit in a little boiling water for a few minutes to soften. Rinse in cold water before blending into the cookie mixture otherwise they will cause your chocolate to melt. In a large bowl use a fork to mix together the non-dairy milk and flax seeds. Add in the sugar, egg and oil and mix for about 2 minutes. Mix in vanilla extract. Sift in flour, spices, baking soda and salt. Fold in nuts, oatmeal, raisins, figs & chocolate chunks. Drop dough in generous tbs onto a paper-lined baking sheet, about 2 inches apart. Flatten the tops with the back of a plastic wrap lined glass (or a fork if you want a more rustic looking cookie). Bake for about 15 minutes or until golden brown in a preheated oven at 350°F. Let cool on the baking sheet for 5 minutes, then transfer to a wire rack to cool completely. Mmm figs. Lovin’ these healthy Christmas cookie recipes!